Do you get your jackets tailored? Wash your whites separately? Press your underwear? No? Then there’s a strong chance your style might be suffering as a result. According to club menswear’s most influential opinion-makers, there are a few habits shared by nearly all the most impressively turned out blokes on the red carpet, and it’s not necessarily having a stylist on speed dial. In a bid to give you the sartorial shortcut to wardrobe success, here are 15 things worth adding to your daily routine. Cover your bases with a few well-fitting white T-shirts, a sky blue Oxford shirt, grey sweatshirt, denim jacket and some light coloured chinos in a slim or straight fit. With thousands of brands at your fingertips, no queuing, and the ability to buy pants without wearing any, shopping online has revolutionised the way we stock our wardrobes. But steer exclusively digital and you might miss a trick. Not only that, but you’ll also get to try the items on — saving you from enduring the special hell that is waiting in line at a post office on your lunch break. And need we say you’d be hard pushed to find a novelty pair of sausage skins in the wardrobes of Messrs David Gandy or Beckham, so yours should be no different. One of the most commonly pedalled pieces of advice when it comes to getting dressed is to select an outfit for the following day the night before. But this is not the way all stylish guys go about it. There are few things in life more irritating than discovering that the new season sweatshirt you just bought is dry-clean only. Or having to devote precious weekend minutes to hand-washing delicates. But caring for your clothing could be the difference between subpar and outstanding style. “We live in a world of disposability, but it’s still worth taking care of a garment,” says photographer-turned-menswear-influencer Jonathan Daniel Pryce. If you’re only just getting to grips with separating light and dark colours, invest in pieces that are built to last with minimal fuss such as Merino wool, which needs to be washed less frequently due to its antibacterial properties. Aside from allowing your footwear to be on full display, nailing the trouser break is something that separates the men from the boys, and can also elongate your frame to make you appear taller and slimmer. In colder weather, buy trousers that break just the right amount (hitting the top set of eyelets on your footwear at the longest) in the first instance or have them altered to suit. When it warms up, try going sockless and pinrolling your trousers slightly to show off your shoes (and ankles) in all their glory. Believe it or not, in some cases it’s possible to look better by doing less. This is particularly true of jeans, which you should skip washing in favour of a swift half down the pub for at least the first six months of wear. “We champion the habit of buying raw denim (or ‘dry’) jeans and breaking them in yourself so that they can create their own wash,” says Nudie Jeans denim designer Johan Lindstedt. Buying basics may not be the most exhilarating way to empty your wallet, but it is essential to dressing well and looking good in all situations. 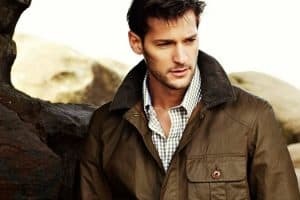 Stylish men make shopping for replacements less strenuous by taking time to find the perfect example of each, making a note of the store, size and cut, then staying stocked up. For bonus points, take a picture of the label and keep it in your phone so you can do this when out and about. Every well-dressed adult knows that the key to looking good is fit. From your basics to your best two-piece, there’s nothing that can’t be improved with a nip and a tuck. So focus on the small (and therefore, cheaper) tweaks, particularly on jackets, that make a big difference: cuffs, shoulders and back. The phrase ‘I woke up like this’ has misled scores of men into thinking the best-dressed guys do just that. Not the case. Far from simply throwing on clothes and leaving the house, taking time to cuff your jeans, roll your sleeves and choose the right tie knot can make a big difference. Accessorising cleverly is another small but impactful style move worth perfecting. Just be careful not to overdo it, particularly in the case of jewellery – you should be aiming for James Bond, not Mr T.
Building a capsule wardrobe that has you covered for every occasion can be extremely rewarding. But it also comes with the risk of quickly wearing key pieces out. Not only does this keep your look fresh, but reducing the strain on individual pieces by allowing time between each wear also increases their lifespan. It’s not uncommon to hear people waxing lyrical about how footwear is the most important component of an outfit. And while it’s quite a bold statement, they have a point. Shoes have the power to make or break a look, so as well as ensuring you have all the cornerstones of cordwaining to hand, it pays to swot up on what to wear with each, and where. You should have at least a pair that matches every trouser hanging in your wardrobe. It’s been established that not all impeccably-dressed men spend hours meticulously planning their outfits. However, they do give themselves the right tools to work with, thanks to a spot of wardrobe organisation. Try organising by colour, type of garment or season, and you’ll find getting dressed in the morning becomes a whole lot easier. There’s a common thread that has long precluded the likes of Simon Cowell, Jeremy Clarkson and Paul Hollywood from best-dressed lists: their choice of jeans. And far from being something thought up by a fashion editor, there’s science behind the shame. “For the majority of men, bootcut jeans are incredibly unflattering. Don’t wear them,” says stylist Elgar Johnson, who has dressed the likes of Eddie Redmayne, Travis Scott and John Boyega. Instead, Johnson suggests slim, straight or tapered styles for jeans that fit your body type – whether yours are chicken-like or #swole from chugging protein – in ways no bootcut style ever could. 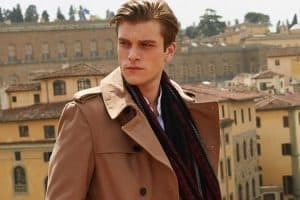 You can buy a bespoke suit, hand spun in Italy from the finest thread known to man, but if what’s underneath it isn’t up to scratch then you’re still not going to look your best. Eating well and working out are two of the most overlooked factors when it comes to style, but they make a huge difference to your overall appearance. Just a small amount of exercise and a balanced diet can have a massive impact on how you look and feel – just ask personal trainer Lee Axon.